My wife and kids love the outdoors. I enjoy watching movies about the outdoors. I love my family though, so several times a year, we load up our vehicle with various camping equipment and sleep with bugs. A couple of years ago, my wife took my son on a backpacking trip in the Catskills and he’s been asking to go ever since. My wife told him she would go again, but baby number 3 showed up and nixed that plan. 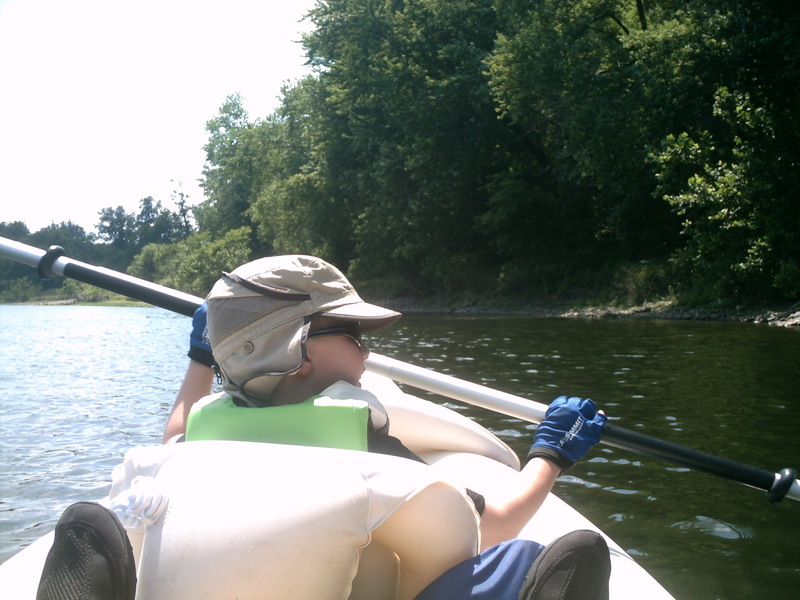 Towards the end of the school year, I made a blind promise to my son and told him if he finished the year strong, the two of us would go on an outdoor adventure. 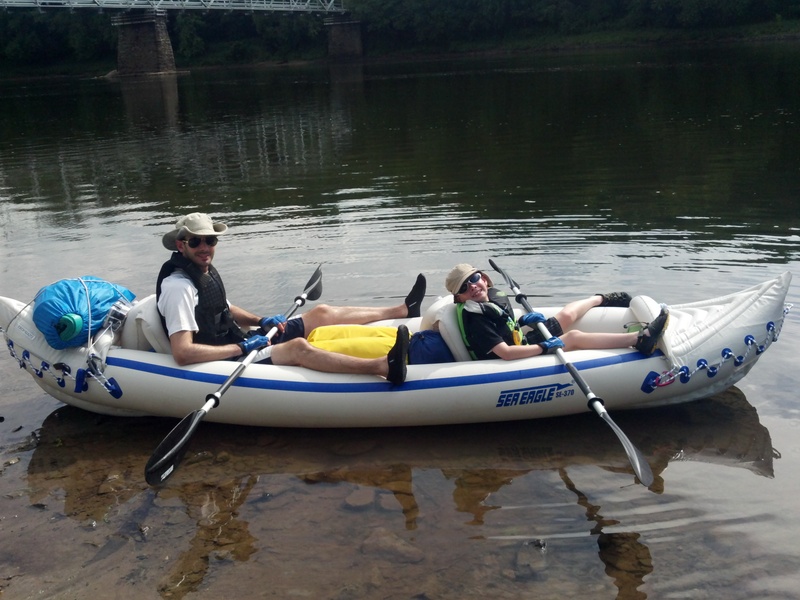 He kept his end of the deal, so last weekend, my son and I loaded up a kayak with camping equipment and headed down the Delaware River. When the whole family goes camping, my wife is the one who takes lead. I’m the stand-around-and watcher. Actually, my role is to get the fire going because it’s the one thing I do well. When I’m told to tie something down, my knots resemble a first graders attempt at tying shoes. 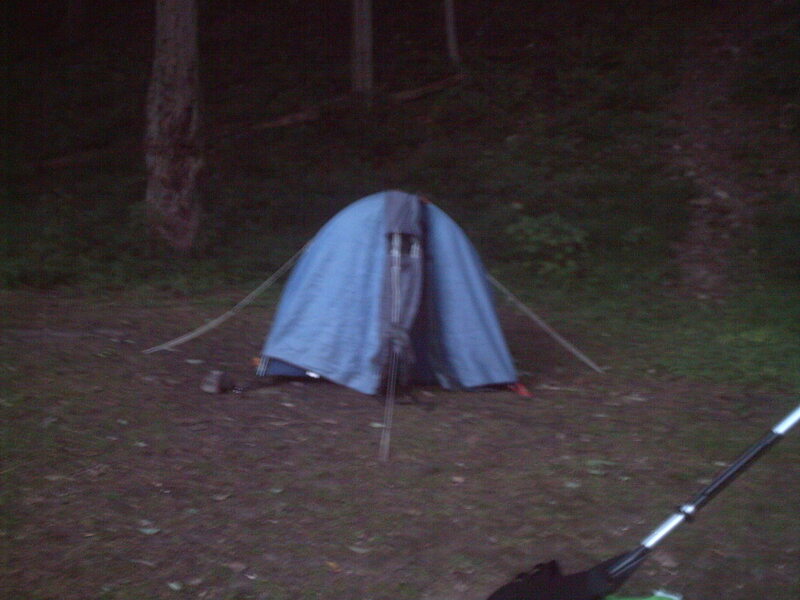 My kids are better equipped to survive the great outdoors than I am. This is why it was such a big deal that I would be the one to take my son on the trip. We traveled almost 30 miles over two days and camped alongside the river. 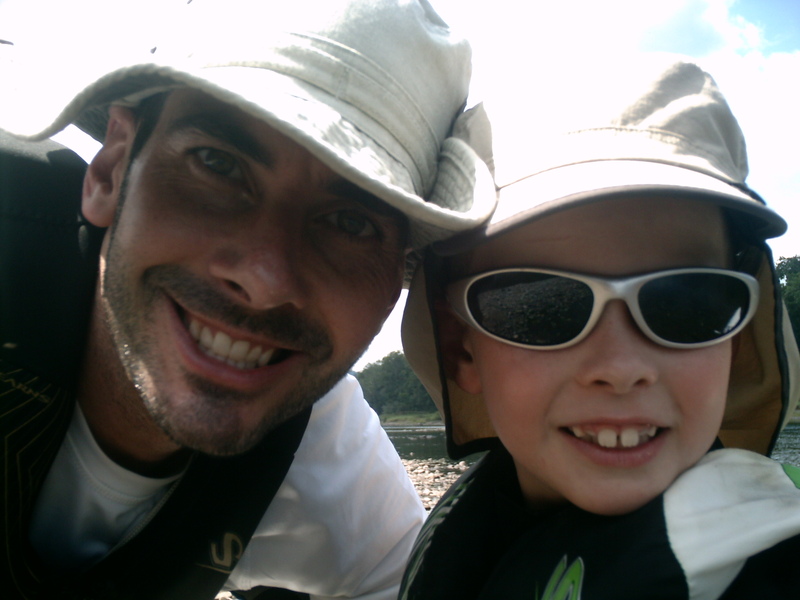 Being alone with my son in a kayak for two days was a precious treasure that I’ll hold onto forever. 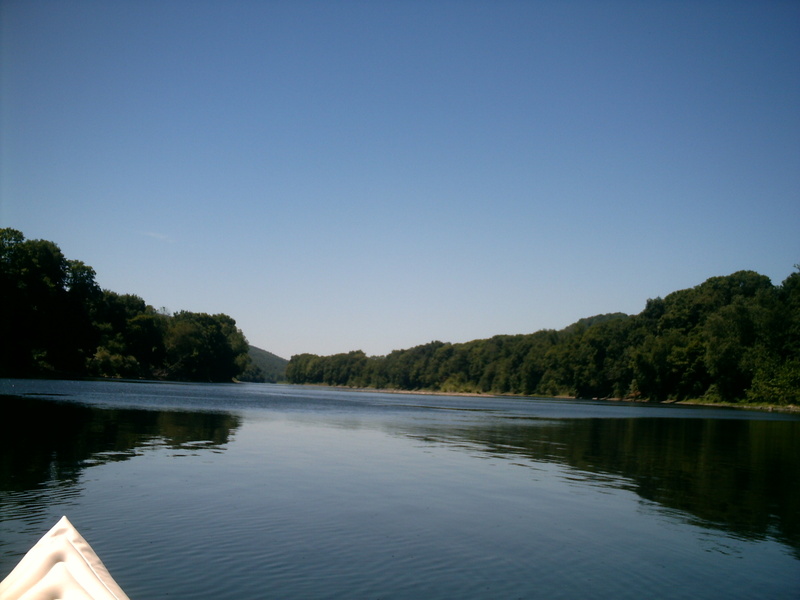 There were times as we paddled that we took in nature in silence. Hawks, deer, and a bald eagle held our attention. Mostly though, we talked. We discussed favorite superheroes and villains and who would win if they fought. Questions about our faith were relayed and we even got into politics. My 8 year old is quite the budding liberal. The biggest debate we had centered around the fact that he believes that Star Wars Episodes 1-3 were superior to Episodes 4-6. I still can’t see his point, but we did agree that Star Wars: The Clone Wars on Cartoon Network has better stories and characters than the films. Talking was by far my favorite part of the trip. Usually, I hate sleeping in a tent and before we set off, I was determined to not get angry at little things and yell at my son. 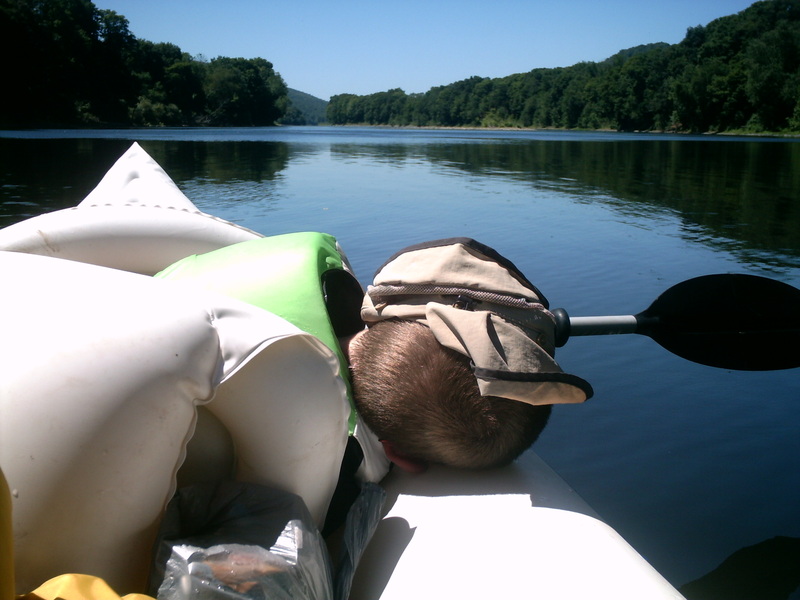 Paddling down the river made that easy to do, but the campsite was a different story. The angry dad bellowed inside of me, but I was able to keep it buried, which made the night all the more fun. We ate gross food and told stories around a campfire. Then, after setting traps to keep out unwanted large beasts, we zipped up the tent and played cards until my son could no longer keep his eyes open. As he slept next to me, I thought to myself how lucky I am to be sleeping next to my son on the hard ground with bugs crawling up the tent. My prayers were a little more heartfelt than usual that night. At the end of the trip, I was sad it was over. There were blisters on my hands and bee stings on my legs, but I felt we could’ve gone happily on for a few more days. The soreness, stings, and blisters from the trip are gone, but the appreciation and joy from the trip still lingers. Next year, I’ll be taking my daughter. Loved this story, Jason. You’re an awesome dad.